Gothenburg was cold and crisp, sunny and grand. The gravel from the cold winter still on the citystreet. People wore mittens and thick overcoats. The warmth from the sun thawed our frozen Swedish souls. We didn´t know what to expect. 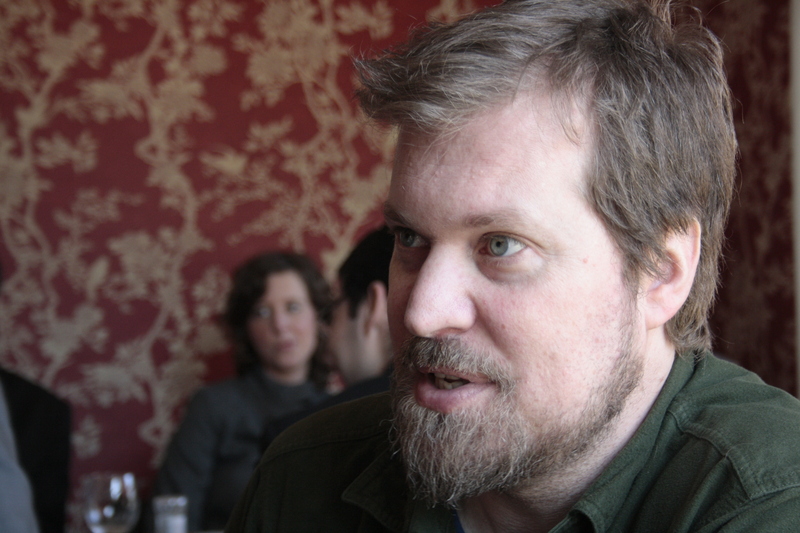 John Grant made Mojo´s best album of 2010, an album Kentuckyseven more than loved. ‘Queen of Denmark’ is 16 songs of intimacy, self exploration and self exposure. Who was this guy? He sat relaxed by the great statue, behind some orange sunglasses. An hour later we were friends. No more, no less. We spoke over lunch. We spoke about life, music and everything in between. We spoke in Swedish, Danish and German too. You live here in Gothenburg, how did that happen? How´s the record with Kleerup coming along? Queen of Denmark made Mojo’s number one 2010, how about that? “I love the new PJ Harvey album. I love her, what she does with her voice. I just discovered a Swedish band called ’Pacific’, I really like the voice of that guy. It´s like electronic based indiepop. I also listen to ’Glasser’, ’Black Devil Disco Club’ and many other bands. How did you end up on stage? “I´ve been writing songs for a while. I got half of the songs for a new album already. This one will be more about anger. I want it to be fuzzy and distorted with lots of beautiful melodies but with a harder edge. I want it to be a big wall of sound, and then down to nothing, very dynamic. I´m recording with Midlake, starting in September. ‘Queen of Denmark’ was no filters, the next record will be the same. Do you see yourself ever becoming an author? “I would like to see myself that way, but I don’t think I am ready for that yet, the more I read the harder it seems. It´s an amazing talent, like one of my favorite authors Scott Heim, whom I became friends with, who wrote ‘Mysterious Skin’. I do have a huge vocabulary, so I probably could write something, but it wouldn’t be fictional. Everybody has a story to tell. Look at the greatness of Nick Cave and Tom Waits. It could be about anything, this lunch or that wallpaper behind you. Any other projects, down the line? The video to ‘Chicken Bones’, what can you tell us about it? Did your music help you? How´s the relation with your family today? “I don’t know if my father has even heard my record, and I won´t ask him. We don’t communicate a lot but he definitely loves me, I know that. We live in different worlds. My father lives in a world where he still wants me to be a missionary in Russia or something like that. But he is proud of me, he is proud of the success I am having in the music business, but I think he´s also disappointed. My parents made it clear that they could never support my lifestyle, but – We love you, anyway. I can live with that, but I guess I have a lot of stuff to work through. ¤¤¤ Lunchtime was over. The room emptied. Outside the window the afternoon sun hit people hard, knuckles, guard down. It was a story to be written and John Grant walked away, down the street. He looked like he could use some shelter from the storm, a place to call home. We watched him go and got back to work. The song ‘Queen of Denmark’ echoed our white office walls. Who’s gonna be the one to save me from myself? Can I please see your license and your registration? 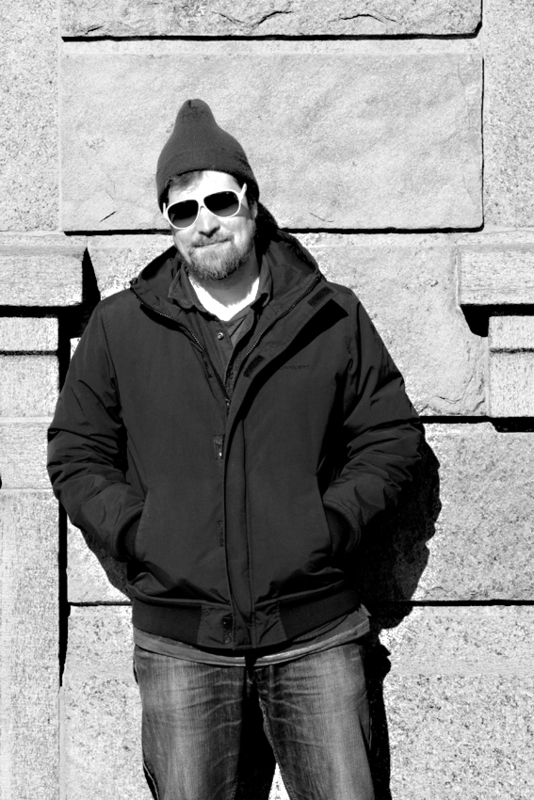 John Grant gigs Gothenburg tomorrow, April 27th @ Nefertiti. You live here in Gothenburg, how the hell did that happen? “I got here to do a record with Andreas Kleerup, and hadn’t really heard of Gothenburg before. I couldn´t believe how beautiful it was! I moved in with Petra, a friend I met after my gig at Pustervik. I’ve lived in big cities before, three years in New York, but I do enjoy the small town. I don´t go out any more, not like I used to. I don´t drink anymore, at all. It´s all about the people and the music. Queen of Denmark made Mojo’s number one last year, how about that? “I really freaked out. For me, Mojo is the bible. It’s is a new world for me now. This is gonna keep meaning big stuff for my career for a long time, meaning that many more people will discover my music. Because of my lyrics it won´t become mainstream in a bad way, this is just a good thing. “I love the new PJ Harvey album. I love her, what she does with her voice. I just discovered a Swedish band called Pacific, I really like that. It´s like electronic based indiepop. I also listen to Glasser, Black Devil Disco Club, Bernard Fevre, and many other bands. “I´ve been writing songs for a while. I got half of the songs for a new album already. This one is more about anger. I want it to be fuzzy and distorted with lots of beautiful melodies but with a harder edge. I want it to be a big wall of sound, and then come down to nothing, very dynamic. I´m recording with Midlake, starting in September. ‘Queen of Denmark’ was no filters, the next record will be the same. Did your music help you at the time? How´s the relation with your father today? “I don’t know if my father has even heard my record, and I won´t ask him. We don’t communicate a lot but he definitely loves me, I know that. We live in different worlds. My father lives in a world where he still wants me to be a missionary in Russia or something like that. But he is proud of me, he is proud of the success I am having in the music business, but I think he is also disappointed. My parents made it clear that they could never support my lifestyle, but – We love you, anyway. I can live with that, but I guess I have a lot of stuff to work through. Lunchtime is over. The room empties. Outside the window the afternoon sun hits people hard, with surprise. 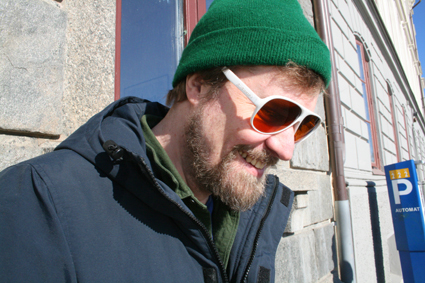 It´s a story to be written and John Grant walks away, down the street. He looks like he could use some shelter from the storm, a place to call home. We watch him go and get back to the office. The song ‘Queen of Denmark’ echoes our white paper walls. This entry was posted on tisdag, april 26th, 2011 at 09:00and is filed under . You can follow any responses to this entry through the RSS 2.0 feed. You can leave a response, or trackback from your own site.